The complete App uninstaller is the super fast app to quickly know the size of Apps occupied in your system and remove the apps and securely deletes its apps associated helper files in library preferences left over in system. 1.handly tool to know all the apps installed. 2.click on Allow access and select the Application directory to provide the access. 3.It displays total size of all the installed apps occupied in your system. 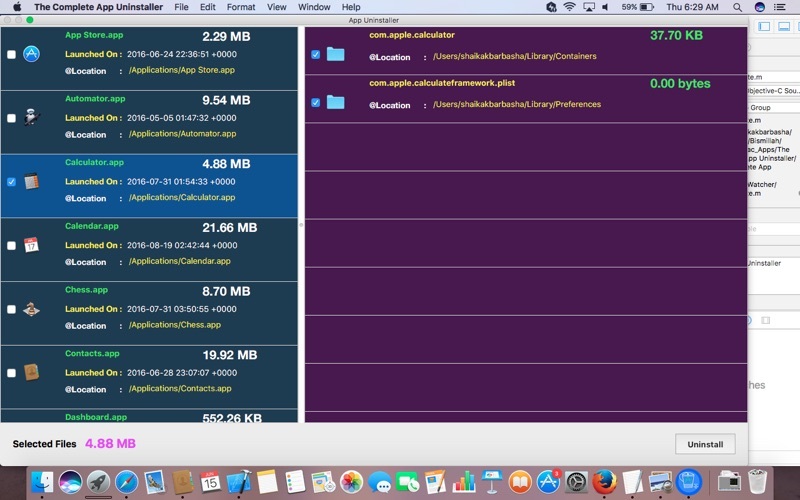 4.It displays individual App size occupied in your system. 5.user can select it and click on uninstall button provided to uninstall the app. 6.It deletes the App and its helper files in library preferences folder. Your review is valuable.Please give your review comments in App Store and send your feed back in our support URL.